Not much going on with the layout, and I lost the motivation to work on the Heisler at the moment. I started messing around with the stone engine house. I was going to use the Schomberg Scale Models engine house, but after a visit to the real Manns Creek engine house I wanted a better representation of it. 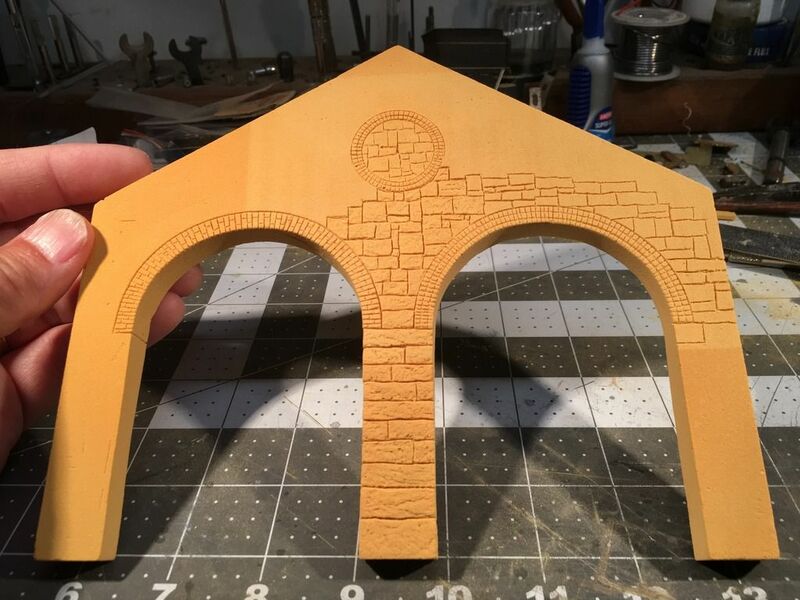 I decided to use Balsa foam to carve my own engine house. 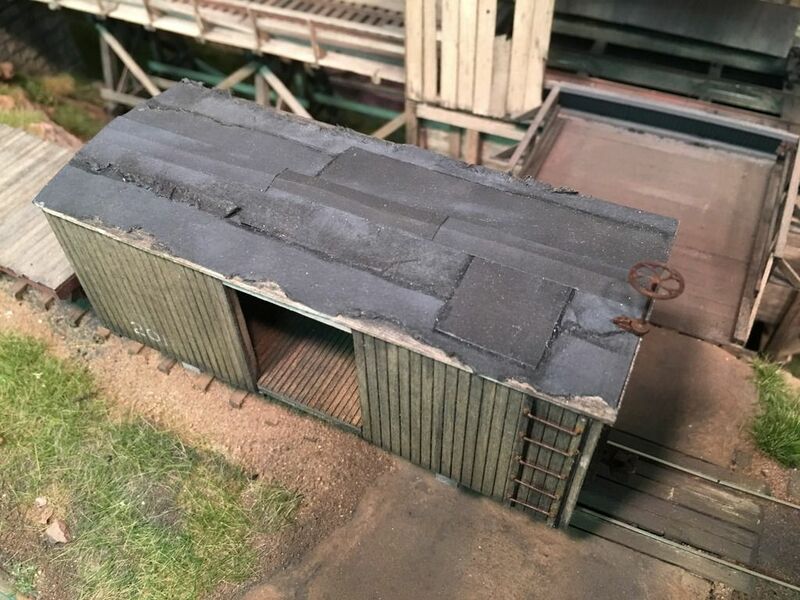 Unfortunately I had built a base to the proportions of the Schomberg kit and I had to make my model use the same foot print and track spacing, however it did enlarge the opening for the locomotives to pass through so my larger shay would fit better. the balsa foam carves easy but it will be a long and slow process. I am just using an X-acto knife and a tooth pick to carve the limestone blocks. An interesting detail of the prototype is the different brick arches over each locomotive door. The door on the right had three brick rows laid so the ends of the bricks face outward. The door on the left has the bricks laid so there is a side and an end showing in each row. here is the front wall blank cut to size. 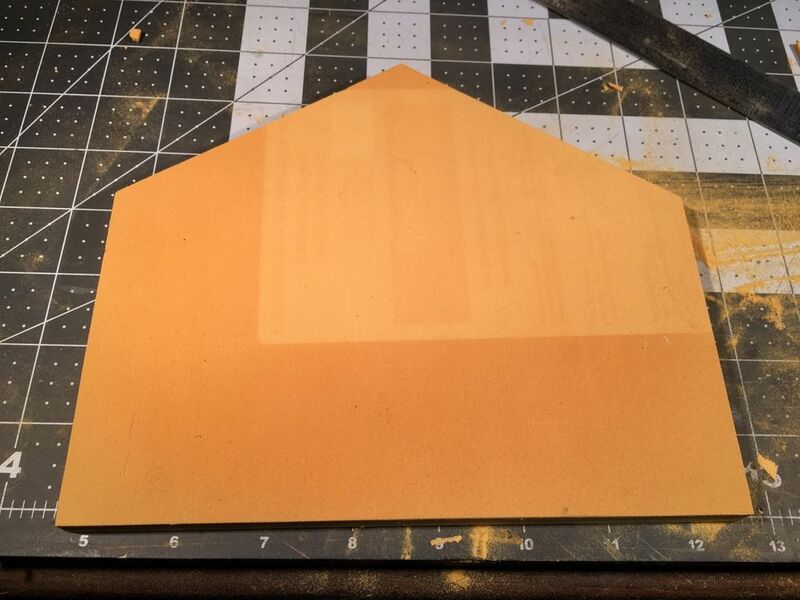 used a hack saw blade and some gauge blocks to slice the 1" thick sheet in half. here is the start of the carving process. above the door on the right you can see how I start the process. 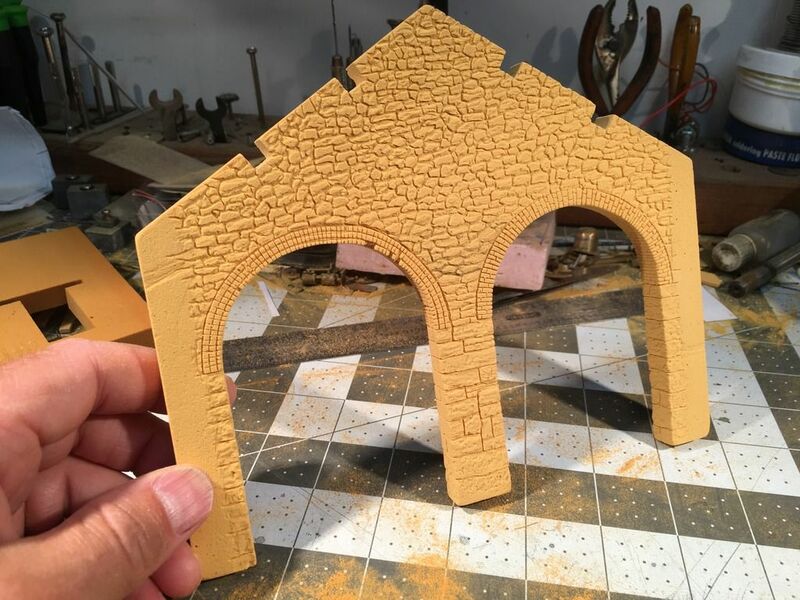 I use an xacto knife to create the basic stone block shapes. Down the middle you can see my finished blocks that I textured with a toothpick. The prototype engine house had larger blocks on the bottom of the structure and smaller more random blocks at the top. on the inside of the structure the blocks were even smaller, more like stones. Good start! With patience and perseverance, this will be a beautiful model. 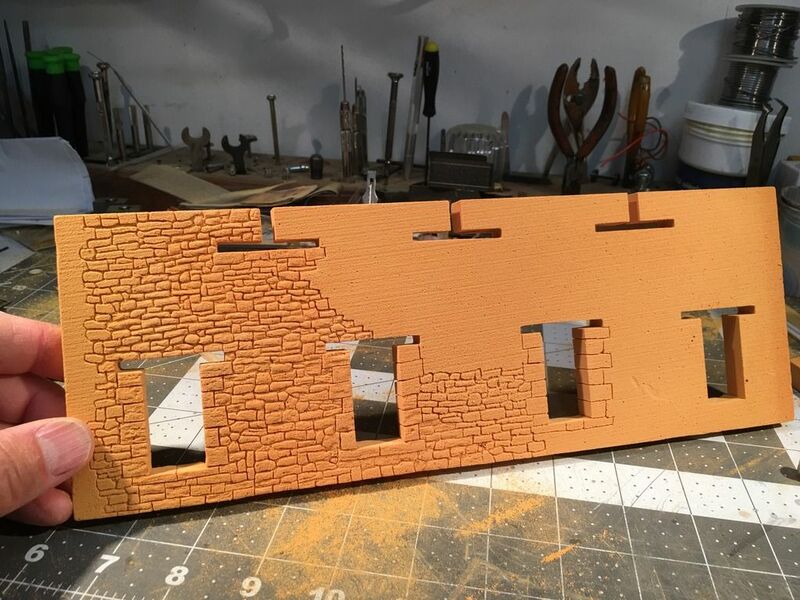 I finished the front wall of the engine house. as on the prototype I used smaller stones on the inside surface. Also, as the outside wall got closer to the top it seems they used smaller blocks and stones as well. 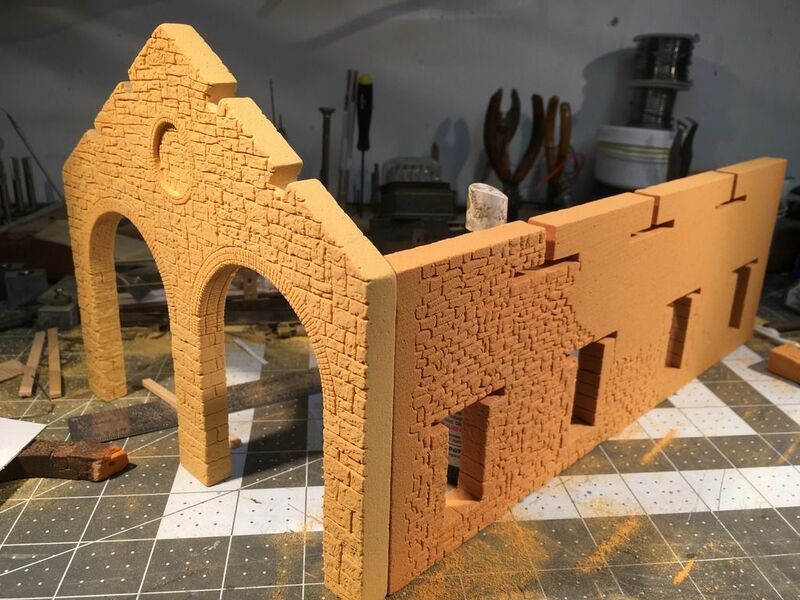 I started on the side wall. from photos I took it seems that the sides also had smaller stones on both the inside and out, except around the windows and the ends. I am waiting to carve the blocks at the joint until after the walls are joined with the ends. 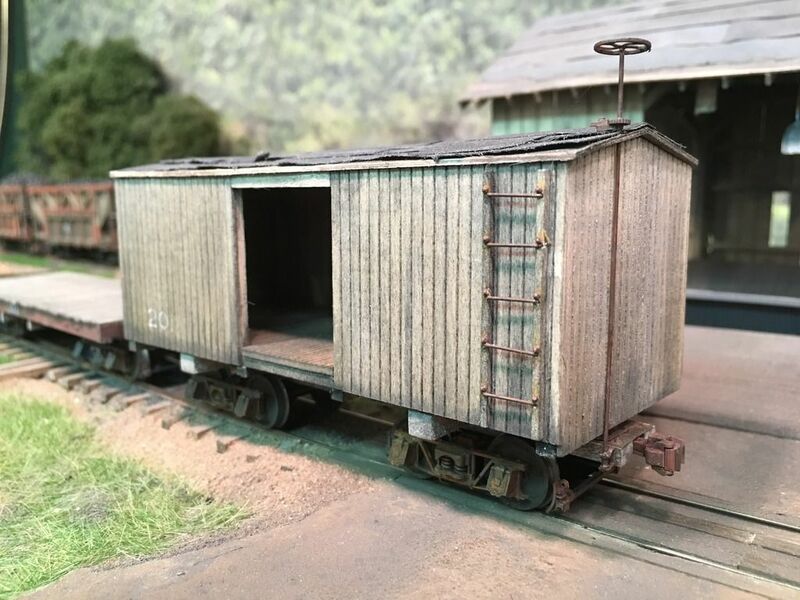 I also scratch built a boxcar. until now I have been using two plastic boxcars, one was a regauged Bachmann boxcar and the other was a shortened SJCC Rio Grande box car. Both boxcars looked out of place on my backwoods mining RR. The Manns Creek built its rolling stock on log car frames so I decided to do the same. I first built a log car and then built a box body and joined the two. I did not see any side doors on the prototype so I did not add any to my model. I may make a few more of these and maybe I will add some doors on some of them. I think these cars better fill the look I am going for. I left this car unpainted but I may paint some of the other cars I will build. I also want to add one more caboose in the future. Your new car and engine house look good. Thanks for sharing your work. I'd love to see how you would handle building a early 0-6-0 with the 3 wheeled tender! Wow! Very nice work. So exacting. Looking forward to seeing more progress. The boxcar has a real home-made look. I like the weathered sides and especially the roof. It all looks very real. The engine house is a beaut already, even at an incomplete stage. It's going to be a masterpiece. Wow, that is some fantastic stone carving. My guess is the used smaller stones higher up due to having to lift the weight. 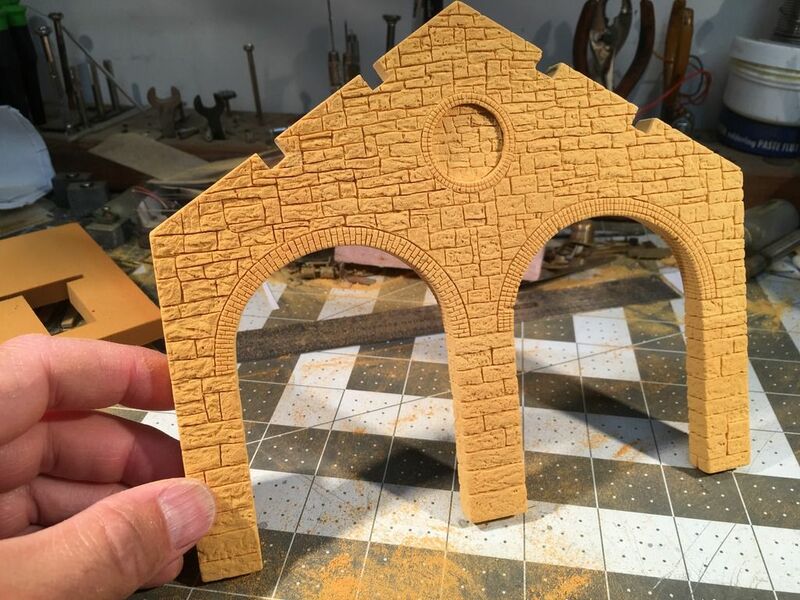 Also if you look at old stone buildings closely the thickness of the walls taper off as the walls go higher. The stones at the base had to be larger / thicker to carry the structures weight. The box car is a very nice build.